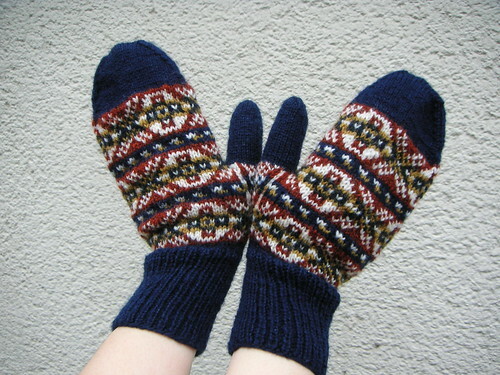 i finished my lerwick mittens last night. 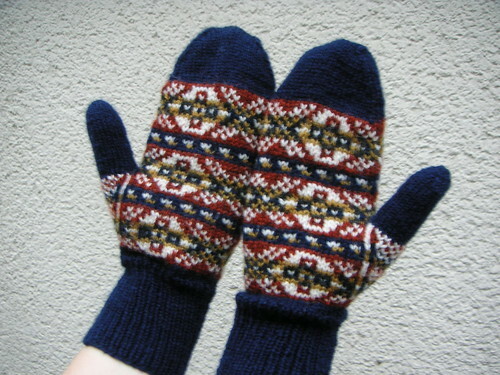 at a few minutes to midnight i weaved in the last ends of the right mitten. yarn: a little of this and that. all 100% 2-ply wool, some from morjärv, some from kampes and some might be hifa. i used stashed yarn throughout. modifications: added a thumb gusset/wedge (of course), made the top of the mittens a bit more rounded than the original.